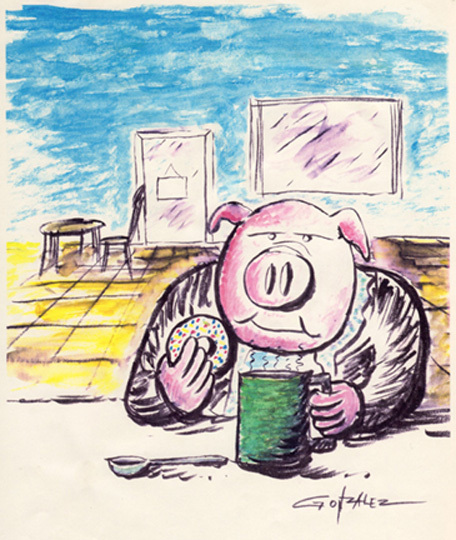 While we are on the subject of pigs, here is one enjoying a nice cup of coffee and a delicious donut. Lol. I keep telling people, “Sometimes, a pig is just a pig”.